Dubai: The journey of an overseas cricketer to the realms of Indian Premier League (IPL) is usually via some eye-catching performances in any franchise league like the Big Bash, but Sam Curran is an exception. It was the young all-rounder’s exceptional showing with both and ball in the four-Test series against India last year which was primarily responsible for fetching him a whopping £800,000 from Kings XI Punjab — making him the highest paid overseas player in this year’s IPL. Curran, adjudged one of ICC’s breakout players of the year for 2018, is one of the 11 players from England across the eight teams who will be plying their trade in the IPL this season — a far cry from the initial years when the likes of a Andrew Flintoff or Kevin Pietersen stood out as exceptions. What could have been a possible gamechanger in the thinking of cricketers from that country is the growth of Jos Buttler and Ben Stokes as cricketers, and the 20-year-old was quick to acknowledge their contribution in making the England cricketers take the plunge. The two England stars form the backbone of the Royals, who will be led by Steve Smith, with the Australian captain back in the middle after serving a one-year ban on charges of ball-tampering. After flattering to deceive on more than one occasion (a runners-up spot being their best finish in 2014), Kings XI Punjab has realigned their forces this year — with the batting line-up boasting of some formidable names like the ‘Universe Boss’ Chris Gayle, Lokesh Rahul, David Miller, Karun Nair along with the explosive West Indian Nicholas Pooran. “We have a very complete side and have been training very hard. As far as my role is concerned, I am looking to give the charge in the middle order and will keep the things tight during the power play and then at the death with the ball,” said Curran, who hails from a gifted cricketing family. 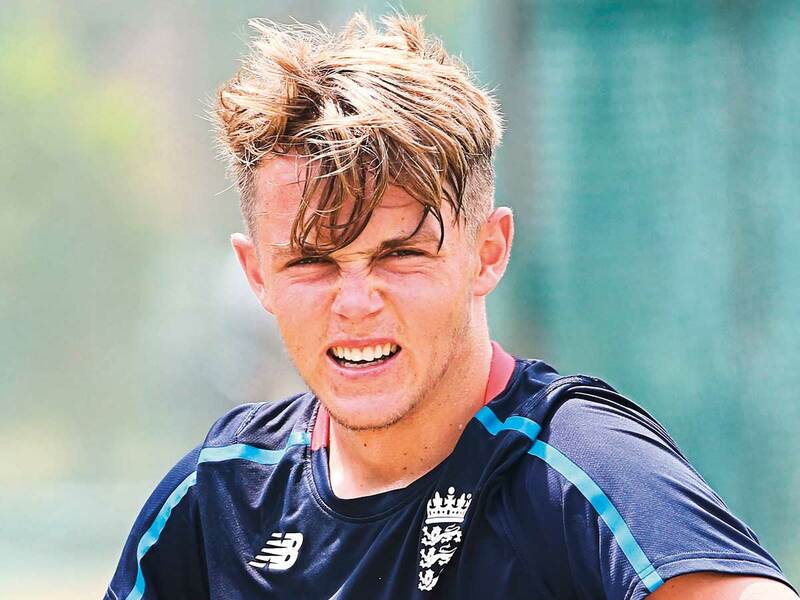 The youngest son of Kevin Curran, the former Zimbabwean all-rounder who passed away only at 53 years in 2012, Sam and his brother Tom Curran turn out for Surrey and England, while the third brother Ben Curran is a left-handed batsman for Northamptonshire. How much of sporting genes helped him in shaping up as a cricketer? “We had played a variety of sport together since our childhood like squash, tennis and golf. This had certainly helped in being extremely competitive,” he said. Ever since joining the Kings XI camp, Sam had been adding a few tricks to his natural abilities to move the red ball. “Yes, I am trying out a few things which I am not going to give it away. I am preparing myself to give my best for the team,” he said. With the ICC World Cup set to be held in England in a few months and the hosts being touted as one of the favourites, Curran is fancying his chances to make the cut. “I definitely want to make the cut but right now, I am focused on the IPL and plan to take one game at a time,” the youngster signed off.